Updated monthly, I’ll mention places or businesses that impressed. This month it’s the turn of Tunbridge Wells, Tonbridge and Sevenoaks … and the odd London one! A pre-Christmas Friday lunch at the George and Dragon in Speldhurst. Hadn’t been here for years for no particular reason other than it is so popular and well known that oddly I had probably been avoiding it. Makes sense?! I’m no luncher but they had a delicious, very reasonably priced game menu. I could have happily chosen most of the choices and that rarely happens. Real rich, comforting, local, winter food. Free range or organic and locally sourced. 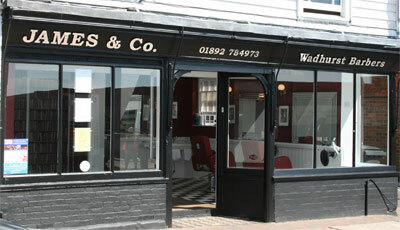 In the middle of a torrential rainstorm we flew into James and Co, a barbers that arrived in Wadhurst a few months ago. With a fun decor and friendly owner,James (ex-Fargs in Tunbridge Wells) who seemed very professional and despite being a rainy, early January afternoon, his mood was sunny. One boy haircut later my son pronounced it a ‘really good place’. ‘The Library’ an organic Ladies salon that specialises in using organic hair dyes has now been opened at the rear of the shop. Jane has moved her business up from Heathfield and was very helpful and knowledgeable when I asked her lots of ‘can you sort my hair out’ questions. I was really impressed that she runs a colouring business based around organic product. It’s in Wadhurst High Street if you are coming from the Frant side, opposite the just being built Jempsons. Another day another hairdresser. The White Room in the Pantiles is always a relaxing place to spend some time. Lewis has some really lovely people working with him. It was buzzing when we went in again after New Year when I would have expected it to be pretty quiet. Friendly, welcoming and lots going on outside to watch while someone else has a haircut. Products they use … Aveda and L’Oreal. I know, it’s not in this patch, but what a fabulous place so I had to mention it. You have to absorb the website to appreciate how much effort a Barnes family and their backers have put into this building that had originally been a cinema back in 1910. Moving through a number of guises to become a renowned recording studio hosting the Rolling Stones, the Beatles and Led Zeppelin to name only a few. Now it’s sort of all your cinema design dreams put together. I was smitten. There are two screens, comfy reclining seats sourced from Norway covered in vibrant soft red felt. Even the 3D glasses (no having to remember your own here) were comfortable to wear. Love seats and sofas at the back. Retro sweet shop and fabulous interior design by Simone McEwan (www.simonemcewan.co.uk for an impressive portfolio). The sound system befits an ex-recording studio, the general opinion being ‘awesome’ but I’m thinking it’s probably a little more technical than that. 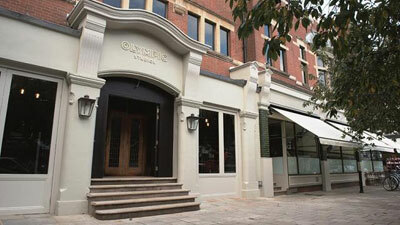 To finish it off, an excellent Cafe and Dining Room. This serves unfussy food using quality ingredients complete with in-house pastry chef. That means lots of baked goods alongside burgers, home made sausage rolls etc. Oh,and delicious hot chocolate. There is a member’s club and recording studio attached. If you live near Wadhurst or Hawkhurst you will already know about the Kino Digital Cinema in Hawkhurst, it’s an oasis of cinema luxury with cafe, comfy seats and cool vibe. 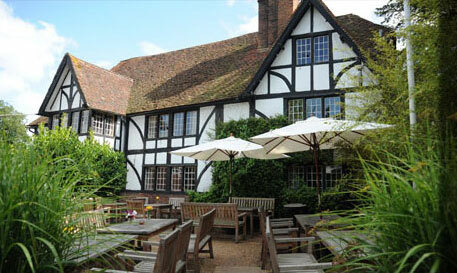 Step out of the countryside into cinema heaven. So much better than any chain but at the same time you wish there was one in every town or large village. The Trinity Theatre in Tunbridge Wells also screen a good programme of films. They run a full theatre, comedy and music programme alongside exhibitions with a great cafe as well, worthy of a post of their own at a later date.